Build a covered pavilion and seasonal, refrigerated ice rink at the site of the current Twombly outdoor rink at Village Park in Falmouth. Worked with the Town to re-zone a portion of Village Park and also provided site design to meet client and Town established desires. This project included the demolition of the former rink, construction of a new concrete pad and ice system, boards, roof structure, seating, and expanded parking. 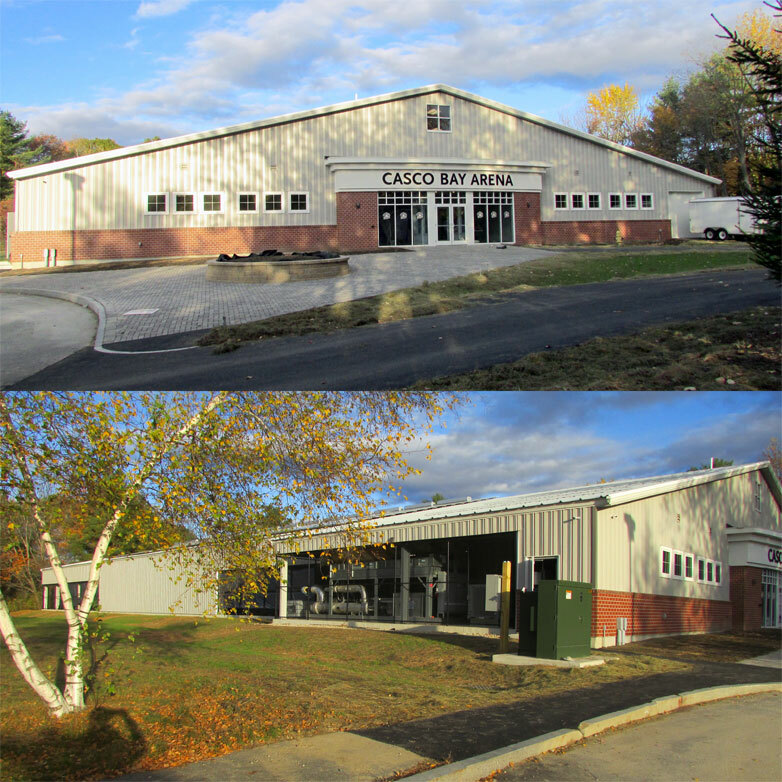 Casco Bay Arena also includes an enclosed entrance to house locker rooms, bathrooms, the Zamboni, and other equipment storage. It was built using a combination of metal walls and wind mesh. This combination allows for natural air flow through the facility eliminating the need for an HVAC or fan system to avoid mold and air quality issues due to condensation.